The X-Trail Altay Expedition Race is currently coming to a close in China as an ARWS Exhibition event. It’s the first expedition race to be held in China which is significant for the sport, but far from the first adventure race to be held there. For the past 14 years China has been hosting multi-day stage races under the control of the Chinese Mountaineering Association (CMA) and for some of the racers taking part at the Altay race is the end of an extended stay in China and visits to several races. 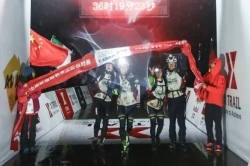 For the winners Thule Adventure it’s the end of their ‘China racing season’ and for some of the race field China is their number one destination country for racing, and for most of those the X-Trail is a return to the ARWS, or perhaps their first race in the series. In this respect the new X-Trail race is doubly significant to the sport, bringing together two strands of racing that have run parallel over the years. The background is that the races in China under the CMA have grown in number over the years (and begun to include some ultra trail races) and have always prioritised attracting elite international teams. They’ve done this very successfully by flexing their financial muscles as well as delivering a consistent and professional product. (Possibly easier to do if you can tell people the race is coming through, rather than have to ask them, and pay them.) Plus of course there are some amazing places to race in China and it’s a fantastic country to visit. The races have offered to cover travel costs in full or part, and put large sums in prize money up to attract the top racers. When I attended the Wulong Quest there were stage prizes of thousands of dollars and podium prizes in the tens of thousands, all given out immediately after the race in large bundles of cash. Not surprisingly this tactic to attract racers was successful, though being stage races those most able to benefit were athletes who could win at faster paced events, rather than those in teams at the top of the ARWS rankings with a stronger endurance base. In particular, the races in China attracted racers from the New Zealand multi-sport scene. This recruiting was mostly done by word of mouth, the races don’t have websites and wanted only elite teams, or a spread of countries for the prestige it gave the race. It’s almost an elite-China-racers club and some of those who joined came from an expedition racing background, including Thule racers (and AR World Champs winners) Martin Flinta, and Mimi and Jacky Boisset, who were disillusioned with inconsistencies in the AR World Series races. Nor are the Chinese races really interested in publicity outside China, which isn’t good for the teams and their sponsors. But that’s how it is, regional recognition within China is their priority, so the municipalities backing the races can see the bang for their buck. And of course there’s the fact the world-wide-web is spun a very different way in China. Facebook, Youtube and Google are blocked, and that’s how a lot of AR communication is carried out. So, what’s changed to allow the two separate tracks of Chinese multi-sport racing and ARWS Expedition racing to come together? The answer is de-regulation in China! Until recently the only sanctioned races in China were produced under CMA authority, but that changed a couple of years ago and independent events began to appear, staged by newly established commercial companies. For 13 years the principal planner and organiser for the CMA was Wei Jun, and in more recent years he has had the chance to attend some international and expedition races (and will be on a team at the World Champs in Australia in November). Wanting to stage an exhibition race in China he’s now left the CMA to set up the independent X-Trail events company, and with help from the ARWS we arrive at the current, first ever Chinese expedition race. The X-Trail race filled quickly and at short notice, and was presumably an exhibition race to test the water and allow time for assimilation into the World Series. The race filled rapidly in part due to the teams trusting Wei Jun’s organising pedigree, and because of an amazing venue in the far north of China near the Russian and Mongolian border. It also kept some of the traditional incentives of Chinese races, a $50,000 prize fund, and teams travel costs paid in part, and succeeded in attracting some of the teams most experienced at racing in China, and some of the best expedition race teams in the world. Multisport and Expedition racing converged on what proved to be a hybrid course, allowing the fastest teams to win in 36 hours of non-stop racing, at a faster pace than full length expedition racing. The course might not have been as varied as most expedition races, but it did offer enough navigational challenge to affect the result and kept dot watchers glued to their screens. There has been little reaction from the teams so far, but watching from a distance it looks like a successful event, especially for one with the particular challenges of working in China and trying to bridge the gap across the two strands of adventure racing. One of those challenges was the live media coverage and with ARWS help and particularly the live tracking using YB Satellite trackers there has been enough news and imagery to follow the race well. Maybe not as much as you’d normally expect, but a lot more than there has ever been for any other adventure race in China. You can also expect to see many more photos and videos once media are free of restrictions in China in the coming week or two. Those following the coverage will have seen video on Youku (the Chinese Youtube), and may have noticed the mapping allowed switching to a Chinese version which didn’t use Google maps. There was no race output on their own website or Facebook, but this time around the race had the ARWS channels to use and so the news got out. This is of course why the AR World Series wants a Chinese race, to make the series more marketable and global, and with the race just finishing they’ve made a good start. The expectation is to see the race continue in the full series in future, but it’s already been stated that the prize money and travel incentives are a one-off for this event, which is understandable looked at from the viewpoint of the other World Series races. So there is still some evolution to come for the X-Trail/ARWS partnership and we’ll have to wait and see how it develops. For now however, it’s made Adventure Racing more global and inclusive, and helped bring multi-sport and expedition racing closer together. This won’t be the only race option in China though, there may be plenty of opportunities to race there. Various other private companies are offering events, and while writing this article news arrived in my inbox of collaboration between the founders of the UTMB and the Beijing Xingzhi Exploring Company to develop trail racing in China and Asia. 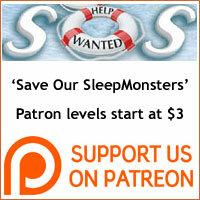 (You can read the news on the site alongside this article). The X-Trail Altay race will offer the expedition racing option for those who want to travel to compete in the future, and we’ll keep you posted on other events and news as we hear it here on SleepMonsters. China is now more open for adventure tourism and adventure racing than it’s ever been before.